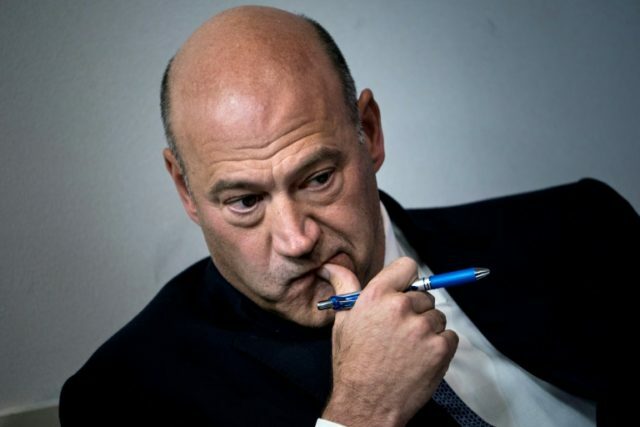 Washington (AFP) – Gary Cohn, who resigned Tuesday afternoon as President Donald Trump’s top economic advisor, had been a standard bearer for the Wall Street ethos in an administration propelled to power by strident nationalism. But having lost a bruising internal battle over Trump’s sudden decision last week to impose steep tariffs on steel and aluminum imports, Cohn finally threw in the towel, confirming days of speculation that he was on the way out. Cohn had always been an uneasy fit, a former president of investment bank Goldman Sachs and long-time Democrat who clung to the traditional centrist, pro-business mindset. Tensions with Trump already erupted last year when Cohn, who is Jewish, said he considered resigning after Trump balked at condemning neo-Nazis and far-right extremists who had led a violent rally in Virginia in August. He also opposed Trump’s decision early last year to withdraw from the Paris climate accord. Trump’s far-right supporters derisively dubbed Cohn “Globalist Gary” and in the end he was outgunned by West Wing protectionists who prevailed on Trump to please his political base of support by imposing tariffs. Cohn’s departure was likely to unnerve markets already rattled by Trump’s decision to impose punishing tariffs of 25 percent on steel and 10 percent and aluminum. In after-hours trading on Tuesday, futures were already pointing to a rocky start on Wednesday morning with an implied drop of more than 350 points at the open for the Dow Jones Industrial Average toward 2400 GMT. Cohn had worked on Wall Street since the 1990s and was one the firm’s best known public faces, making frequent television appearances to talk about the health of financial markets and the global economy. Before joining the Wall Street powerhouse, the married father of three — who comes from a humble family background and struggled with dyslexia in his youth — started out selling windows and, in a twist of fate, had even worked in the steel industry. At Goldman, Cohn was in charge of some of the firm’s cash-cow businesses, including the division overseeing fixed income, currency and commodities. As president and chief operating officer, he was heir apparent to CEO Lloyd Blankfein since 2006. But after it became clear that Blankfein, who said last year he was “probably cured” of lymphoma, would not hand over the reins any time soon, senior figures in the bank began to consider Cohn’s future there, according to a person with knowledge of the matter. Even though Trump rallied supporters during his campaign by denouncing Goldman Sachs, Cohn was one of five Goldman alumni to join the White House staff. 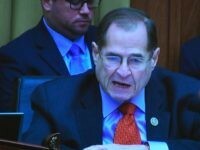 The others included Treasury Secretary Steven Mnuchin, Steve Bannon former chief strategist in the White House, and Anthony Scaramucci who was a member of Trump’s transition team, and spent a very few days on the White House staff before a famously vulgar interview prompted him to resign. In the campaign’s closing moments, Trump went as far as to use Blankfein’s face in a TV spot accusing elites of illegitimately holding the “levers of power,” drawing outraged accusations of anti-Semitism. The bank’s shares soared more than 50 percent since Trump’s shock triumph at the polls in November 2016, but were down two percent in after-hours trading on Tuesday after the latest staff upheaval. Cohn was a forceful public advocate for another of Trump’s flagship policies: the December tax cuts, which industry and investors have cheered, but opposition Democrats have denounced as a giveaway to the rich that will balloon budget deficits. “It has been an honor to serve my country and enact pro-growth economic policies to benefit the American people,” Cohn said in a terse statement on his resignation that belied fierce infighting in Trump’s tumultuous White House.